Bridal Archives | Fashionitsa by Nitsa's!Fashionitsa by Nitsa's! THE BLUSHING BRIDE…it seems that the non-white bridal color of choice for the runway is various shades of pink. The designers created layers of texture and fabric to bring out the softness of this hue. 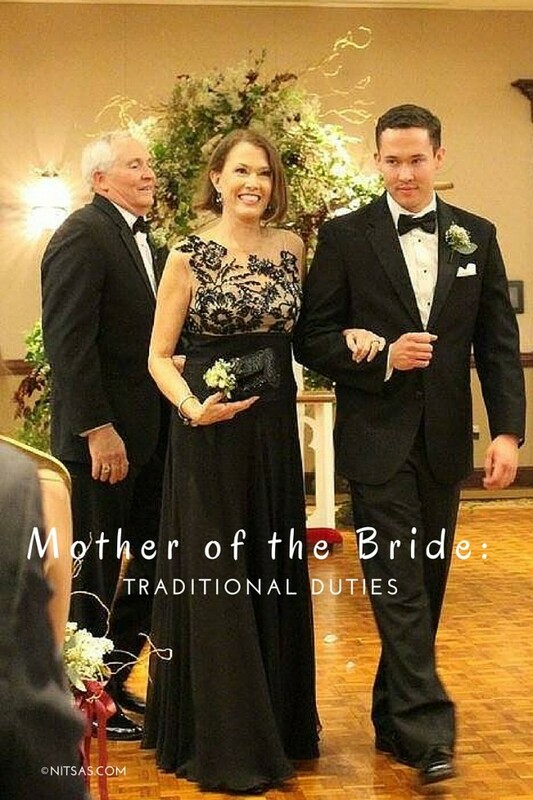 What Are the Traditional Duties for the Mother of the Bride? handling to ensure that your daughter has a special day. Wedding dress shopping support. Traditionally, mothers accompany their daughters on their hunt for the perfect wedding gown. This can be a special and memorable time for mother and daughter, and mom can help provide honest feedback as her daughter tries on different dresses. Help with the guest list. The mother of the bride should compile and submit names and addresses of family and friends that need to be included on the master guest list. She should also talk to the groom’s family about whom they want to include on the guest list and manage the difficult task of limiting the number of guests if necessary. Researching traditions or finding family heirlooms. 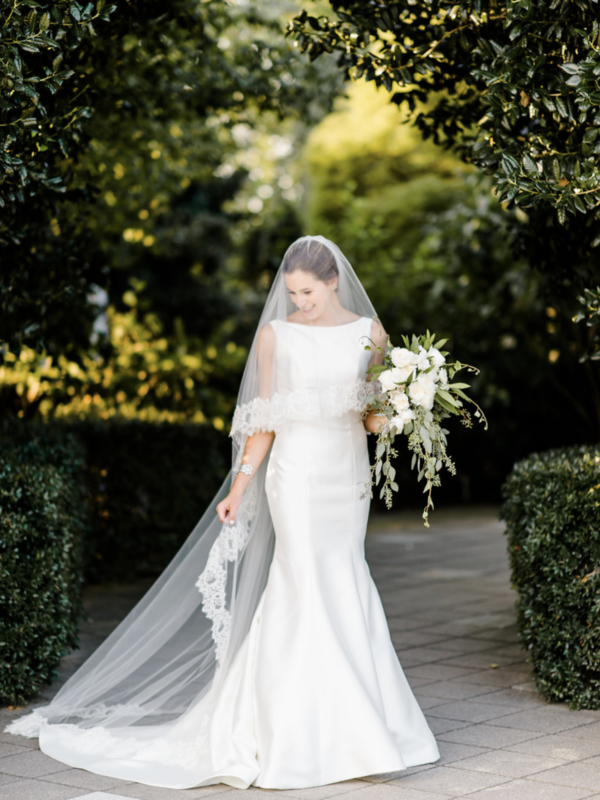 Typically, it falls on the mother of the bride to make sure that certain religious or cultural traditions their family follows are incorporated into the wedding. Mom also will help the bride find her “something old” or “something borrowed” for the big day—for example, mom might share a piece of jewelry she wore on her wedding day. Be the hostess. From the minute guests begin arriving in town until the end of the reception, the mother of the bride is the official hostess and in charge of making every guest feel welcome. She should make sure she meets and greets every guest throughout the event. Coordinating outfit choices with the groom’s mother. Etiquette dictates that the mother of the bride follows her daughter’s lead as to the color and formality of the dress she chooses for the wedding. Once she has chosen a dress, she needs to call the groom’s mother to describe the dress, or she could email a photo so that the groom’s mother can then select her dress so it will be in sync. Second dance. After the bride and groom have their first dance, then it’s time for mom and dad to take to the dance floor. These are just a few of the traditional duties a mother of the bride expects to do, but many moms may want to take a more active role in wedding planning with their daughters. Or some mothers may prefer to take more of a back seat. No matter which category you fall into, be sure to stop and savor this special time with your daughter. We’re still sweating in North Carolina, but planning for this year’s winter weddings is already well under way. What can we expect to see the winter of 2015-2016? 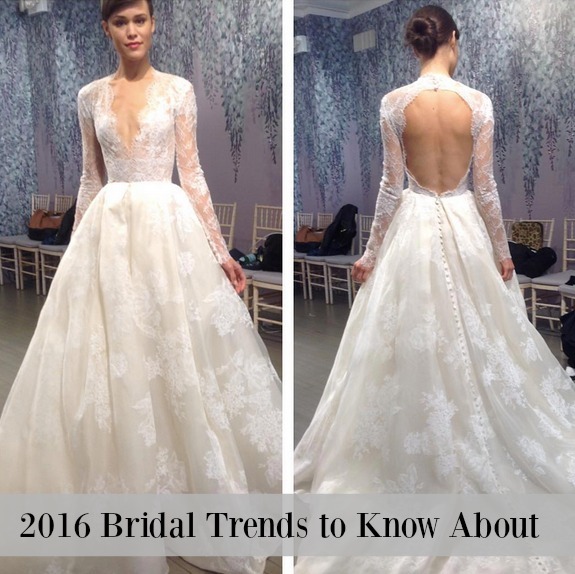 Read on to learn about this year’s trends. 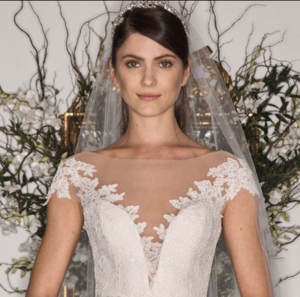 Brides can show a little skin. On the runways this season, dresses featured plunging necklines, bare backs, and cutouts. It should go without saying that in a wedding, a little skin can go a long way, so if you dare to go bare, less is more. 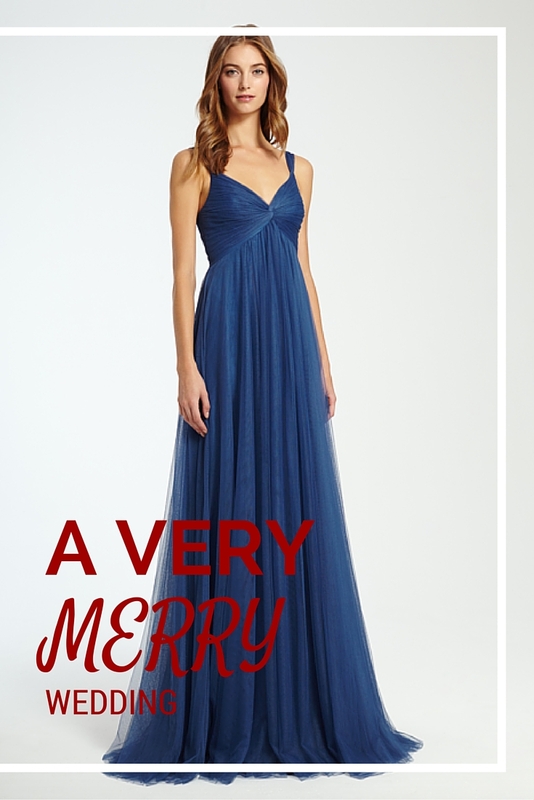 For instance, choose a deep neckline or a bare back, but never both. 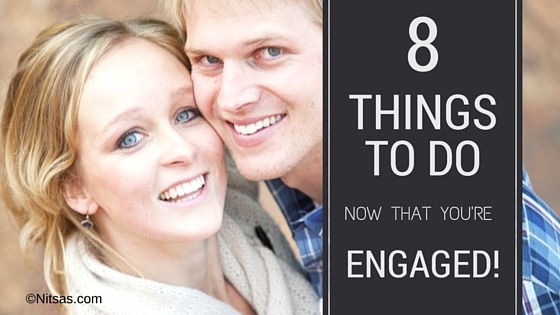 After all, you’re pledging you love to your betrothed, not going out to a club! Or, brides can cover up. Many designers showcased outerwear for winter weddings, with motorcycle jackets, dusters, swing coats, capes and sweaters all making appearances. The fabrics are lush: wool, suede, mohair, and fur (real or faux, white or brown). For a more traditional winter wedding look, try long sleeves; their demureness pairs well with a bare back, as described above. Try going metallic. Shine up the place with traditional silver and gold, or opt for surprising metallic blues, pinks, and champagnes. Metallics showed up on the runway as blingy accents as well as muted gown colors. Brighten up with some color. A monochromatic white motif can lack sparkle, so adding a dash of color can brighten up the whole event. Color can appear in a sash, a bouquet, or accessories. Keep things cool in blue, or warm things up with colors like red or yellow. Go Boho. Bohemian chic is still in style, and it can inform the tenor of the whole wedding. For dresses, look for floral embellishments, vintage styling, and a loosely-put-together feel. Flowers and accessories can follow suit, with a hand-made look that feels warm and welcoming to guests. 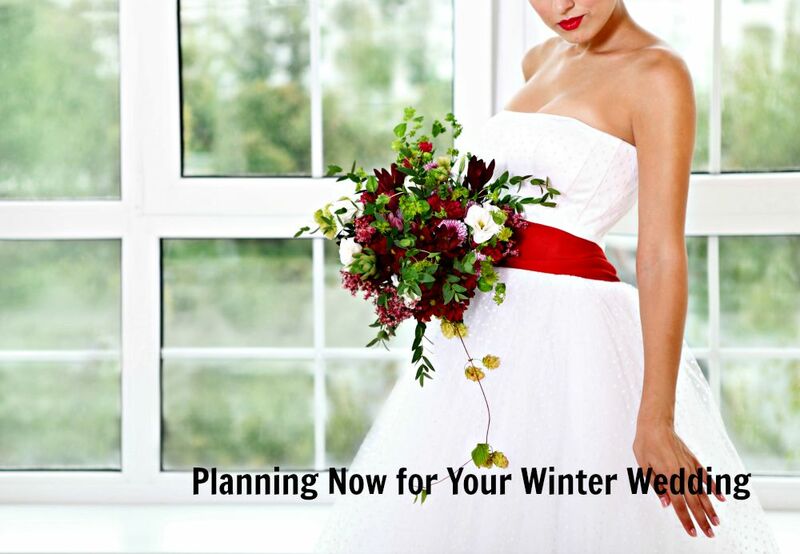 Winter weddings can be magical, but they do come with some special challenges. One of those is how to dress your bridesmaids so they stay warm but also look elegant and current. When it comes to choosing dresses for the cooler months, there are a couple of basic tips to follow. 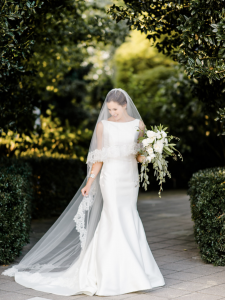 First, it’s always a good idea to choose full-length gowns for your ladies; you may be worried about the hems getting wet or dirty, but if it’s cold, the more material the better! Your bridesmaids will certainly thank you for not exposing their bare legs to the elements. 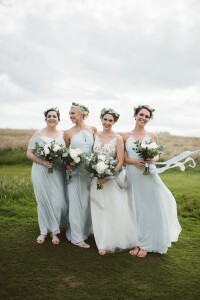 It’s also best to pair full-length dresses with a closed-toe shoe rather than a sandal to avoid your bridesmaids getting cold, wet feet during any outdoor photos or travel to and from the venue. If they’re calling for snow or ice on your big day or if it’s a common occurrence where you live, consider putting your bridesmaids in low heels or flats. With a long dress, the shoes won’t be that noticeable anyway. When choosing the material for your bridesmaids’ gowns, opt for heavier fabrics that can keep the chill away and look stylish in the winter season. Classic satin dresses are a good choice, but other options include duchess satin (stiffer than traditional satin with matte finish), dupioni silk, organza, and taffeta. 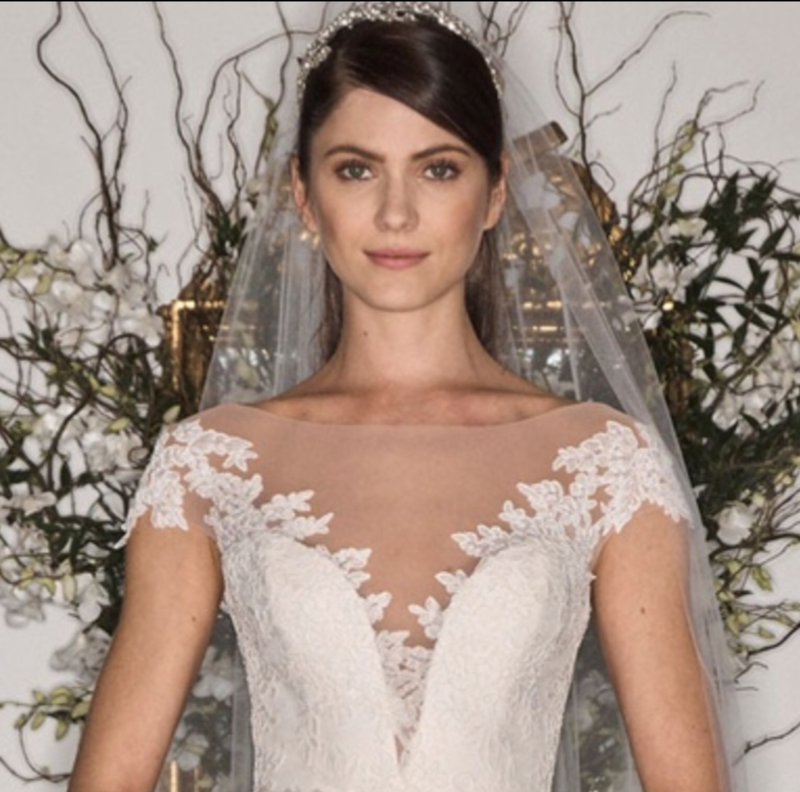 If your heart is set on lace, choose a heavier fabric with a lace overlay. The style of dresses is important, and in winter, a sleeve for your bridesmaids’ dresses is the best option. Sleeve lengths can vary from cap sleeves, short, ¾ length, or full. If you must go with sleeveless dresses, consider opera-length gloves for your attendants to keep them warm and still look elegant. Color-wise, deeper hues such as rich burgundy, plum, navy blue, or emerald green look stunning for winter. A bright red for holiday or Valentine’s Day weddings can also look festive. Metallics such as silver, gold, or copper are becoming popular choices for winter weddings too, or opt for neutral shades like dove gray, taupe, or champagne. Adding accessories to your bridesmaids’ look can make them special and keep them warm at the same time. A wrap in a matching or complementary shade of the dress is an easy option, or white faux fur caplets can look really lovely for winter. Other options are jeweled cardigans or tights under the dress. 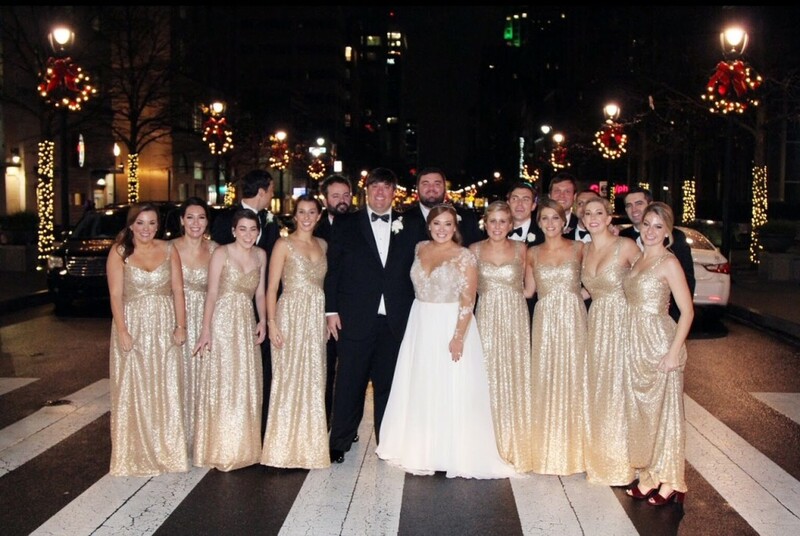 With just a few considerations, your bridesmaids can look chic and stay warm for your winter wedding day.